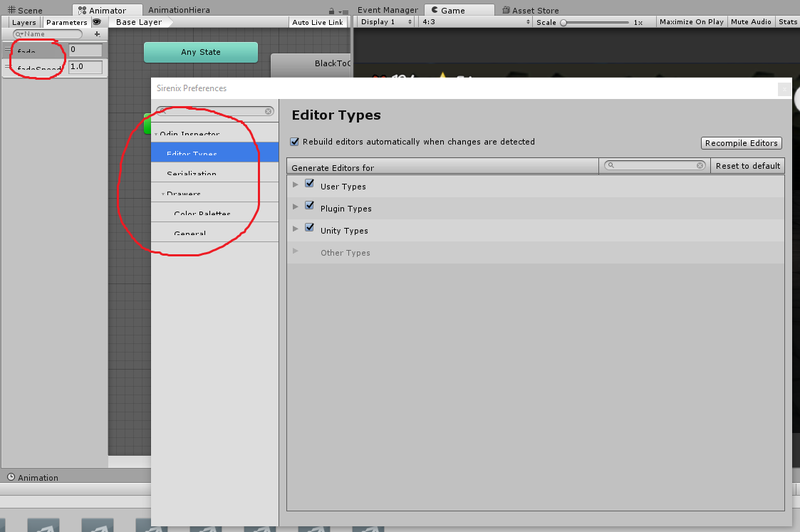 Text is cut off in the Sirenix Preferences window, similar to an existing Unity bug in the Animator Parameters window. To reproduce, open Window -> Odin Preferences. Bug encountered in Unity v5.5.0f3. I think something in your project is giving GUI.skin.label extra top-padding? I've changed it from using GUI.skin.label to EditorStyles.label instead, so this shouldn't happen anymore unless someone where to manipulate with those as well - in which case it is properly their intention - hopefully. If this continues to be a problem, we could potentially create custom GUIStyles from the ground up for everything, and not use any of Unity's build-in styles. Has been fixed in next patch.